On Friday, April 28th, 2017., the cultural center Gervais opened its doors for public with the concert of the „Croatian National Theatre Ivan pl. Zajc, Rijeka“ Opera orchestra, under the guidance of conductor Marco Boemi and with the impeccable performance of soprano Natalia Ushakova. The construction of the center, ”where culture and congresses meet each other under the Učka mountain”, began in September 2015., on the site of the former cinema, which was demolished in order to create space for this new building. The large foyer and small hall, with the capacity of 300 people, are located on the ground floor. On the first floor you will find big hall with 493 built-in seats, designed for accommodating demanding theatrical and concert productions, but also cinema projections and congresses. In the basement there is a large club space, with separate entrance, which can accommodate 1000 people. The cultural center Gervais, along with the Open Air Theatre, often reffered as ”the pearl of the Mediterranean” because of its unique architectural structure, symbiosis of lush greenery and natural stone and its location on the ”green peninsula” of the park Angiolina, have brought cultural events back where they have always belonged, in Opatija. 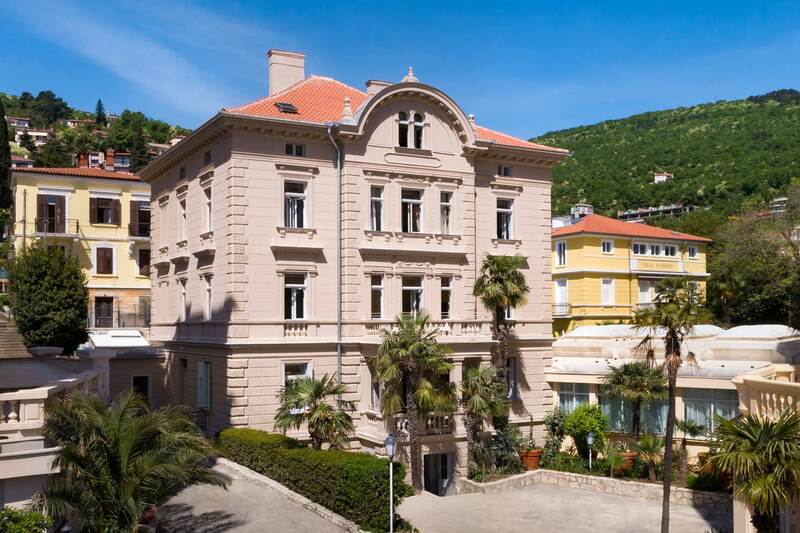 Visit Opatija and discover portić, the town's oldest small harbour. Take a picture of the sculpture of Opatija's barkajol boatman.